Just steps from the Aspen Institute and the Music Tent, this home exemplifies what West-end living is all about. Nestled in this highly desirable neighborhood, downtown is just a leisurely stroll or bike ride away. 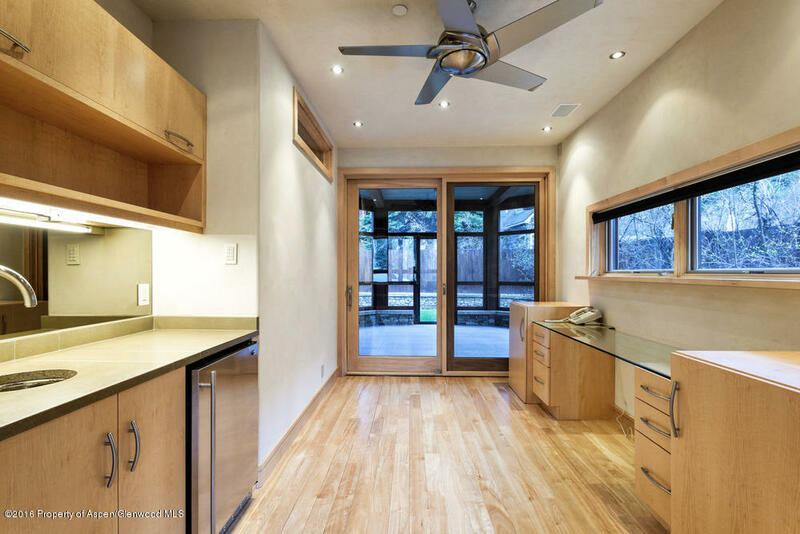 Complemented by the location is an inviting contemporary home boasting elegant style, clean lines, generous windows, quality finishes and views toward Aspen and Red Mountain. 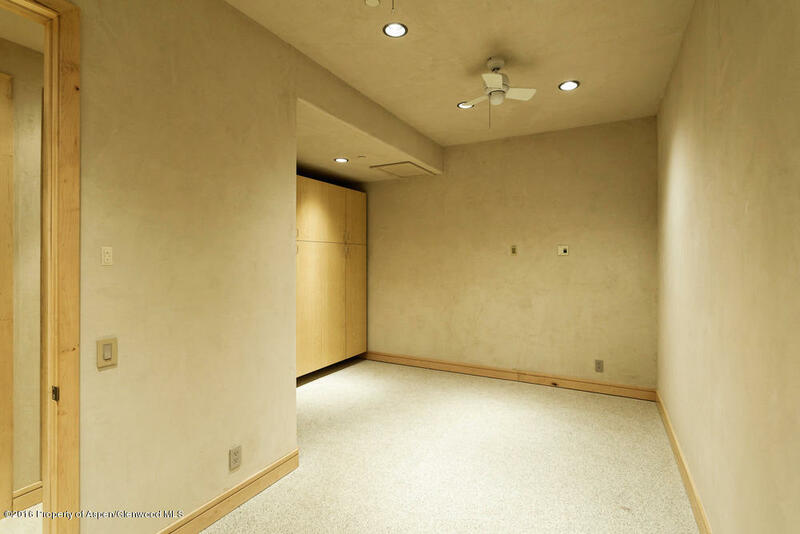 Three levels accessed by elevator or stairs open into a great room, well-appointed kitchen and master on the upper level, while the entry level provides family room space, an office, guest master suite and screened seasonal patio. The lower level offers two additional bedroom suites, media room with wet bar, wine room, and exercise room. 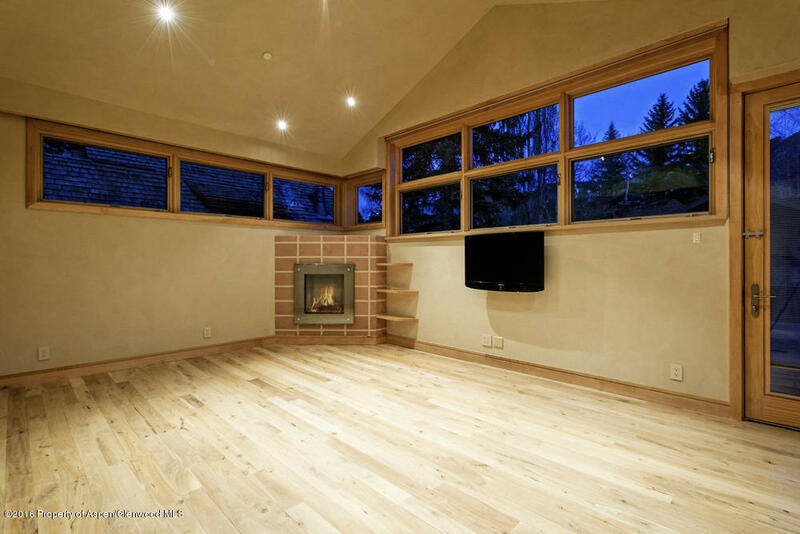 Photos courtesy of the Aspen Glenwood MLS.